Once I receive The Lord of the Rings: The Return of the King (Complete Recordings box set, I’ll definitely start digging into these massive scores. Howard Shore did a remarkable job with this series. I own The Hobbit complete sets as well, but I’ll listen to those after The Lord of the Rings. I have that 'Return of the King' CD which is very nicely produced. I'm not 100% sure about Howard Shore's score for LOR and I once read a review which referred to it as 'barely adequate'. I certainly don't agree with that and have loads of permutations of the score 'LOR Symphony' etc. There are moments I think very highly of 'The White Tree' or the music got the Mines of Moria but, as a whole, I prefer works like Basil Poledouris's score for 'Conan the Barbarian' which I (seriously) rate alongside Prokofiev's 'Alexander Nevsky'. Howard Shore's music is one of the very few things I liked in Jackson's Lord of the Rings films. The music has grown on me over the years. I enjoyed Jackson's LOTR and thought the music suited it well but I haven't listened to it separately from the films. I definitely didn't enjoy his overblown Hobbit; I collected the DVDs as they were issued but gave them to a charity once I realised I would never watch them again. Well, to be fair, film music isn’t my forte or really something I’m all that knowledgeable about. My favorite film score composers are Jerry Goldsmith and Ennio Morricone. Many rate LOR score v highly. 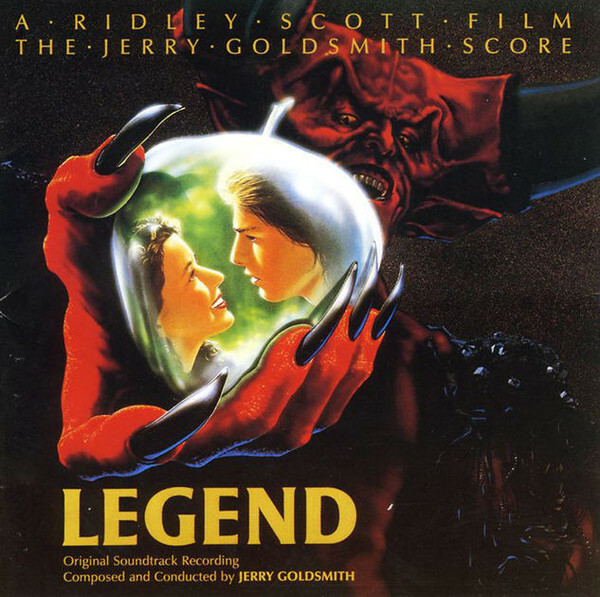 Jerry Goldsmith is possibly my favourite film composer, especially for the original Planet of the Apes, The Omen and especially Damien: Omen II and Capricorn 1. All great scores from Goldsmith, too! Very dramatic cover, haven't heard the music or seen the film. The film is more of a documentary - it's on DVD and I enjoyed it. That is very clever and imaginative cover art. Glad you think so Fergus and welcome back! 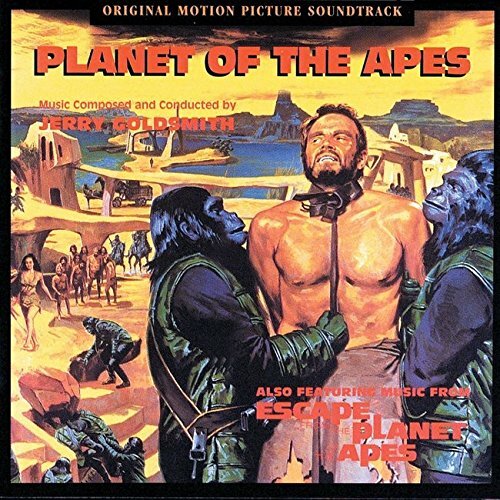 I'm a great fan of the Planet of the Apes and Omen soundtracks. I think that the soundtrack of 'Damien Omen II' is even better with its 'Black Mass' and extraordinary use of the Jew's Harp in the title music. I think that my daughter had it as her mobile ring tone! Actually, all of these soundtracks I bought are outstanding the best I can remember. 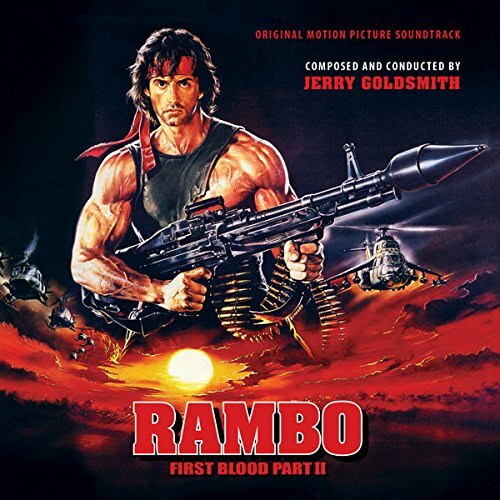 I remember hearing bits from Rambo: First Blood on Sirius radio (when my dad was subscribed to them) many years ago and I was thoroughly impressed by what I heard. 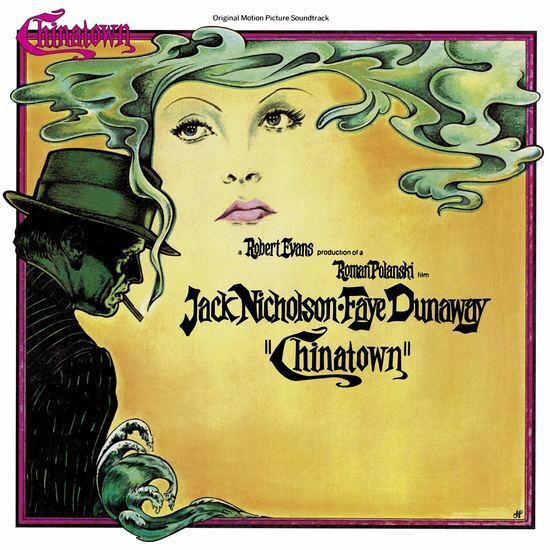 Chinatown was another favorite as it’s main theme has haunted me for a long time. Gosh - that is so interesting and I love the look of those instruments. My dad would have been most impressed that he worked with Frank Sinatra as well! Excellent John! Although I'm most jealous that you have a 'De-Luxe edition' of Damien: Omen II coming. My daughter and her cousin became obsessed with the opening titles music and used to play it on their mobile phones at family dinner parties! Her cousin even wanted it played at his wedding but his fiancé unsurprisingly vetoed the idea. 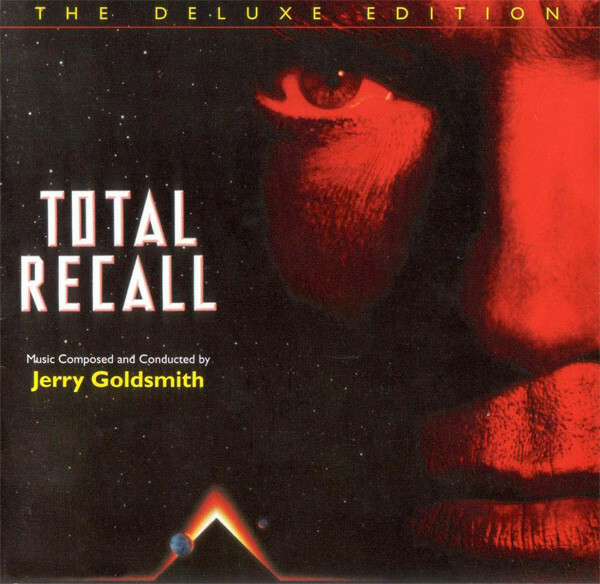 I have an old Jerry Goldsmith compilation album 2CD set (one of the series performed by the Prague Philharmonic) and I remember that the original 'Total Recall' extract was one of the highlights. I don't know the others although remember thinking highly of 'Chinatown' as a movie when it first came out.